The protocol for pilots who’ve been shot down has changed from one war to the next: In Korea and Vietnam, for example, a pilot would most likely use Survival, Evasion, Resistance and Escape (SERE), an Air Force program best known to provide any military member with the skills to evade capture, survive, while remaining under the military code of conduct. It even proved useful for fighter pilot Scott Francis O’Grady, who used the skill for six days after he ejected over Bosnia from his hit F-16C in 1995. The program remains in use today. Early cloth blood chit from the China-Burma-India (CBI) theater. 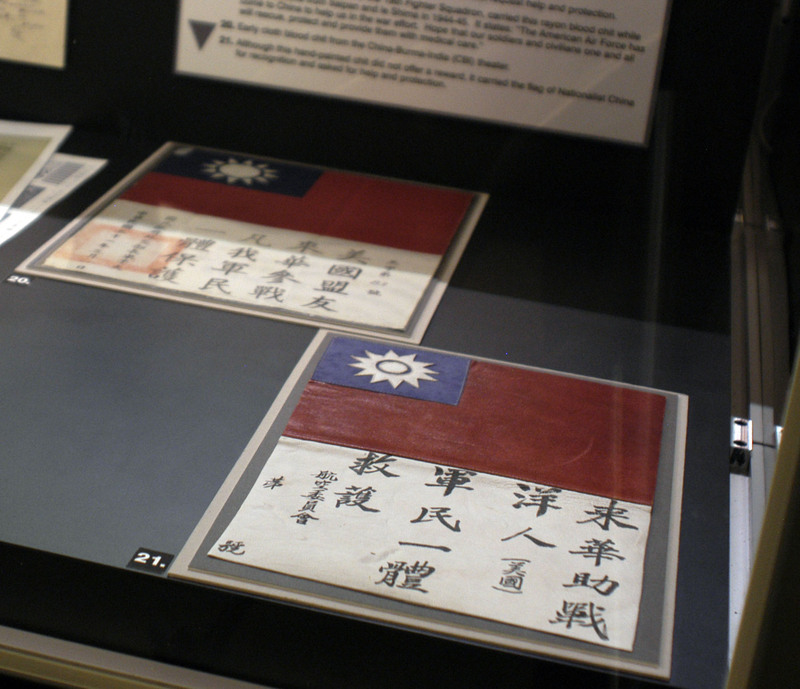 Although this hand-painted chit did not offer a reward, it carried the flag of Nationalist China for recognition and asked for help and protection. (National Museum of the U.S. Air Force photo). But in the WWI and WWII eras, just a small, square fabric cut-out could have saved a pilot’s life. How, and more importantly, why? Called a “blood chit,” this piece of fabric — jacket patch, card and or letter — was written in many languages, and served as official IOUs from the U.S. government to those who helped downed fliers. Each chit was printed with a unique number that identifies a service member. According to author Cate Lineberry, the British regularly used blood chits during World War I, but the U.S. first began using them in China during WWII. The National Museum of the Air Force says the first known blood chits were carried by the 14th Volunteer Bombardment Squadron in China, with many distributed to the American Volunteer Group, or Flying Tigers, from 1941 to 1942. Today, the program remains classified.